Azerbaijanis living in Denmark sent a letter of protest to “Metro Xpress” newspaper, which published an article popularizing a visit of tourists to Nagorno Karabakh, State Committee on Work with Diaspora said. 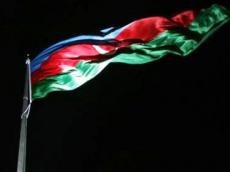 A letter of protest says: “Nagorno Karabakh as an integral part of Azerbaijan was occupied by Armenians. The UN Security Council adopted four resolutions demanding withdrawal of all Armenian forces from Azerbaijani territories. The actions of Armenians, who organize a visit of tourists to Azerbaijan`s Nagorno Karabakh region are illegal and contradict all norms of international law.” The Azerbaijanis expressed their hope that the “Metro Xpress” newspaper will not make such a mistake in future.